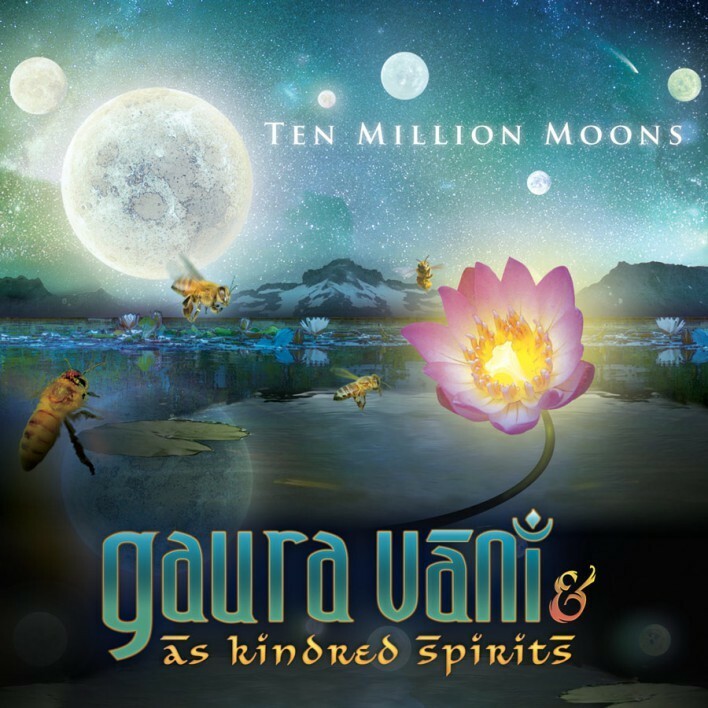 This second album from Gaura Vani & As Kindred Spirits transforms your heart and fills you with visions of a divine world. Epic and cinematic arrangements, lush vocal harmonies, hypnotic ethnic rhythms and grooves, magical textures and instrumentation. This is kirtan as you’ve never heard it before. Conjuring images from the temple towns of India to the streets of New York City, this album is a journey from the world of “now” to the world of “forever”. Gaura Vani & As Kindred Spirits are one of the most sought after kirtan/chant groups in the world. This second album from the ground-breaking group transports us to their divine universe with lush, cinematic arrangements, beautiful vocal harmonies, dynamic ethnic rhythms, and rich textured instrumentation. Their first album, “Nectar of Devotion,” is a cult classic – an instant favorite that can be found in the personal collections of yoga’s best and brightest teachers and musicians. Featured on CBS News and NPR All Songs Considered, this kirtan band is taking the ancient traditions of Indian sacred music and carrying it onto the world stage. From the alleys of the temple towns of India, to the streets of Jamaica Queens, NY, the music from Gaura Vani & As Kindred Spirits is influenced by the diverse musical and personal backgrounds of the artists. This supports the success behind their concerts like, “Chant4Change” a kirtan festival for the presidential inauguration in Washington, DC; a sold out event widely covered by the international press from USA Today and Yoga Journal to South Asian Times.